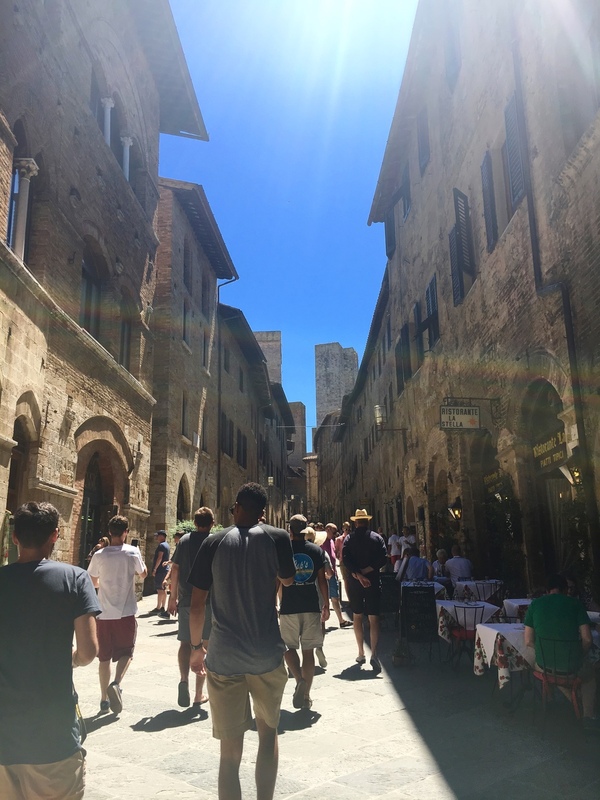 To start off the week, we took a few day trips to the neighboring towns of San Gimignano (Day 3) and Montepulciano and Montalcino (Day 4). San Gimignano is a gorgeous small-walled medieval town, and she flaunted her original architecture, dating back to a really, really long time ago (how I tell history). We walked the streets filled with colorful homes, fountains, squares and cobblestone paths. All perfect opportunities for Austin to take pictures of me. And the best part: the gelato. 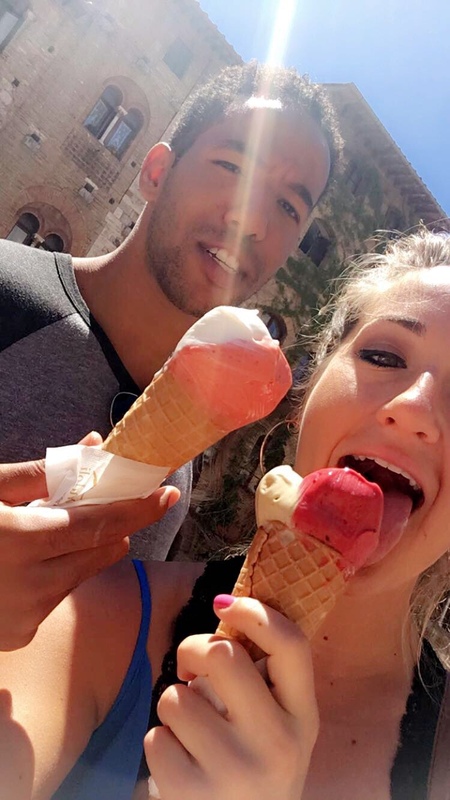 Naturally, we had to stop at "The World's Best Gelato" to find out if it was true. I got a mix of Raspberry Rosemary and Pistachio and it was pretty close to the best gelato in the world, if I do say so myself. Eat it quick though, or you'll end up wearing it. Next up were Montepulciano and Montalcino, both smaller towns but still glowing with all the Italian charm. As we walked up and down the streets, we made several stops to taste wine, olive oil and try on shoes (because of course). The walls of the streets were something out of a movie, and the camera doesn't do them justice.